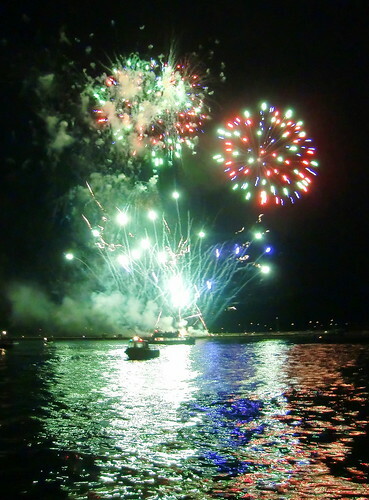 Once again this year, Plymouth will play host to the British Firework Championships 2012. Won last year by MLE Pyrotechnics, this is going to be another hard-fought battle for firework supremacy. This years event is a ‘Champion of Champions’ event where all participants will compete for the prestigious ‘British Fireworks Champion of Champions’ title. The event can be viewed from Plymouth Hoe with the entertainment due to get underway from 6:00pm with live music, fairground and a variety of concessionary stands and refreshment stalls. The displays are due to get underway from around 9:30pm on both the Tuesday and Wednesday as dusk descends. If you are staying in Plymouth for the full event, during the day you will also find a wide range of things to do and see, from boat trips around the famous Naval Dockyards to visits to some of the City’s tourist attractions, including the National Marine Aquarium.